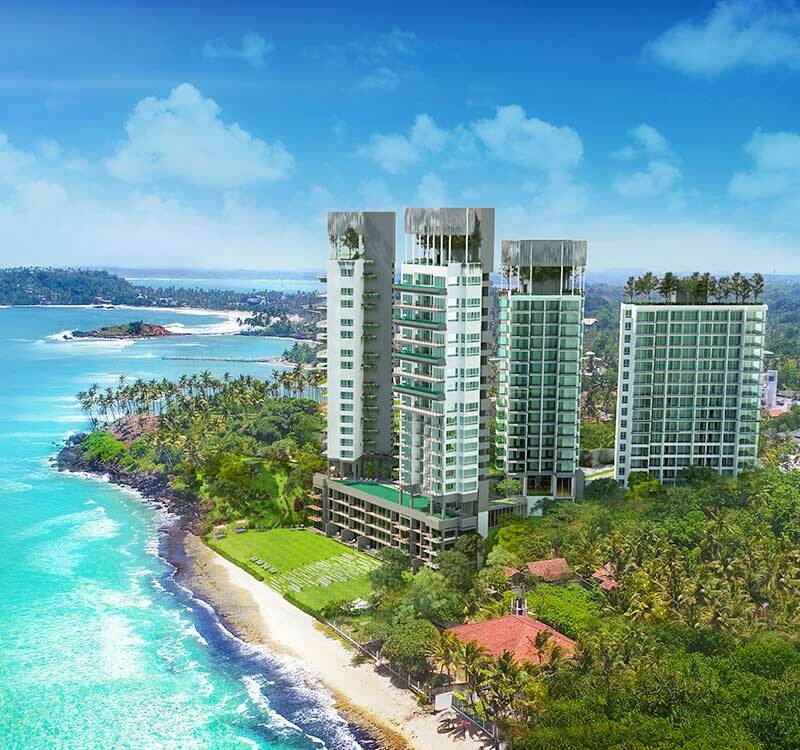 A prime luxury beachfront apartment located on the golden shores of Mirissa in the southern coast of Sri Lanka, Elysian Mirissa promises you one of the finest holiday homes in Sri Lanka. Covering nearly three acres of land, each tower is designed to offer spectacular views of the shimmering waters of the Indian Ocean. Residents are provided with state of the art facilities & amenities from a common infinity swimming pool and restaurant, rooftop infinity pools on three of the towers and Sky Garden to a spa, children’s play area & much more. Our towers are designed to offer the ultimate comforts in your second home. Customize your apartment to make it look like your home or personal space. With our assistance, you can furnish your apartment to suit your taste and style.